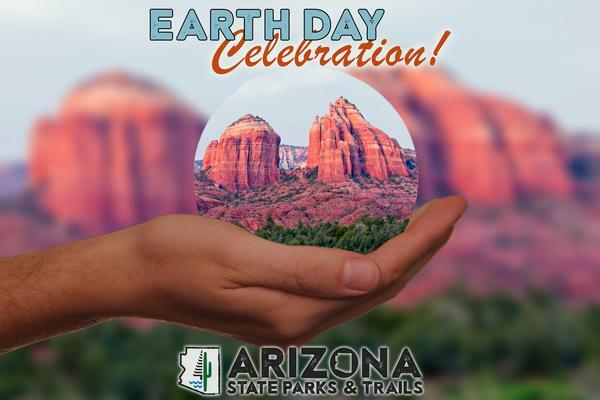 PHOENIX – Earth Day 2019 is a great opportunity to spend time outdoors, celebrating and enjoying Mother Nature! There are weekends of fun ahead for those looking for Earth Day parties! On Saturday, April 20, Oracle State Park hosts an all-day Earth Day event with activities and entertainment for the entire family, including live music and food. Discover the trails and history of Oracle State Park, fro m wildlife viewing to the Kannally Ranch House! Stick around until dusk for the Star Party, a staple at this International Dark Sky Park. Kartchner Caverns State Park knows how to put on a show, and their Earth Day celebration is no different! Spend the weekend at the caverns camping, exploring, and discovering new features and exhibits. Kartchner will host live animals, crafts, and plenty of interactive activities to show the family how important it is to conserve the planet! Extend the Earth Day celebration to the following weekend at Red Rock State Park. Join the Phoenix Herpetological Sanctuary, the International Raptor and Falconry Center, Astronomers of Verde Valley, and more at the park for an Arbor Day event. Families will enjoy games, guided hikes, and exhibits from 10 a.m. to 2 p.m., including discounted entry fees for adults and children. If you’re looking to explore and discover natural beauty this Earth Day, hit the trails! There are plenty of outdoor opportunities for campers, hikers, fishers, and more to enjoy nature throughout the parks!